"For instant translation, use Chrome browser"
SharePoint’s integrated admin experience simplifies IT a lot; use Active Directory synchronization to determine which AD group has the teams that you want to allocate projects to. Set and grant the right level of access to teams and business partners through the new SharePoint integrated security model. Easily flow calendar, presence, and capacity information across your project teams. Project Web App (PWA) now has visual tiles that help you quickly and easily access Project Server via the web. You can view, edit, upload and request collaboration on your projects through the internet, using a wide range of devices and browsers. Use ODATA industry standards for data mining and business intelligence. 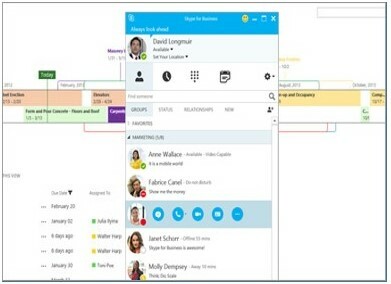 Make the information flow seamlessly from team member calendars in Exchange to Project Server 2013; simplify project schedules and task status updates, enhance task-sharing functionalities. Collate team members’ ideas in SharePoint and measure them in PWA. Manage project pipelines and team work better by collecting them in SharePoint task lists and evaluating them in PWA. 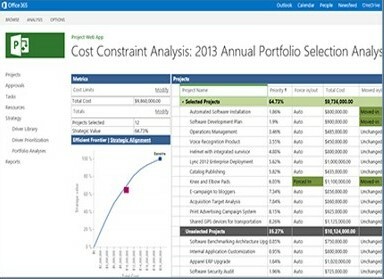 Different disciplines such as ALM, NPD, and IPM come together in the PPM platform to help you innovate; a range of SharePoint apps are available to fulfill your unique business needs. The unified experience across Project Server, SharePoint, Exchange, Skype for Business, and Office is all you need to quickly respond, act and benefit from business opportunities. Remain updated across locations and devices; view and take action on all your tasks in one place. 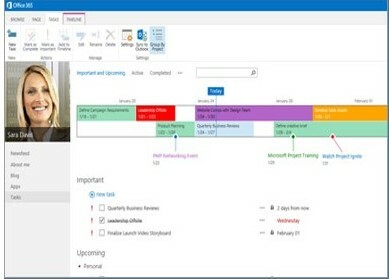 Use the new scheduling capabilities to plan and manage tasks. Get updates on calendars, tasks, newsfeed, documents and more right on the project site. Share conversations across time and space to remain on top of team’s progress. Align and streamline resources exactly as needed; prioritize and manage initiatives to ensure optimal utilization. Evaluate and measure competing resource requests on the basis of their contribution to business strategy, rather than pre-determined roles and responsibilities. Develop and deploy custom apps that help save time and/or use third-party tools. Take advantage of comprehensive workflows in SharePoint Designer as well as Visio to improve control. 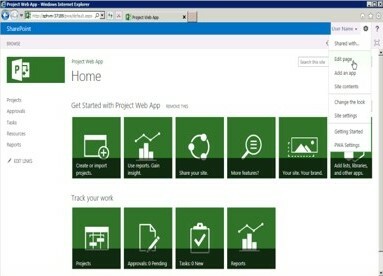 Enhance governance by standardizing your project progression/rejection; use Project Web App to promote a SharePoint task list to an enterprise project. Equip team members with all the information needed to make data driven decisions. Use the summary dashboards to quickly derive insights and take informed decisions; tap into the PWA resource center to allocate organization resources for optimum utilization. 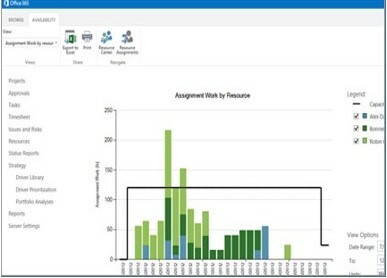 Use self-service access with Excel Services to easily mine and quickly aggregate data across dimensions. 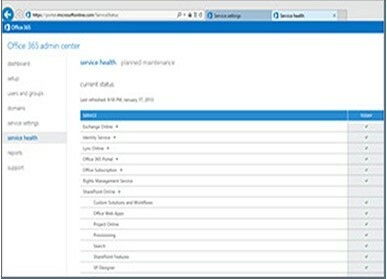 Use SharePoint’s advanced search capabilities of find, evaluate and act quickly. 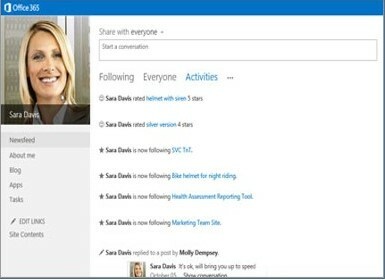 Use the social capabilities of SharePoint to encourage discussions, comments and information exchange. Curate teams reactions and responses by following tags, topics, people, and newsfeeds. Utilize the powerful security features to share info and collaborate with external partners and affiliates. Get visibility on team members work, be it every day or ad hoc. Improve teamwork by sharing in real time – just hovering on a team member’s name will tell you if the individual is available to talk or IM. Set up group conferences, screen shares, shared workspaces, IMs etc. by simply dragging and dropping members into Skype for Business. 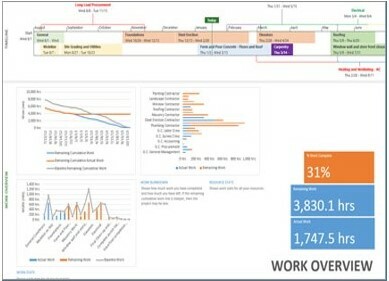 Get maximum mileage out of the truly connected and scalable project management software. Get a Free Project Management Software Today! Test SharePoint 2016 IT Preview Now ! © Copyright 2002-2014 , Apps4Rent LLC All Rights Reserved.